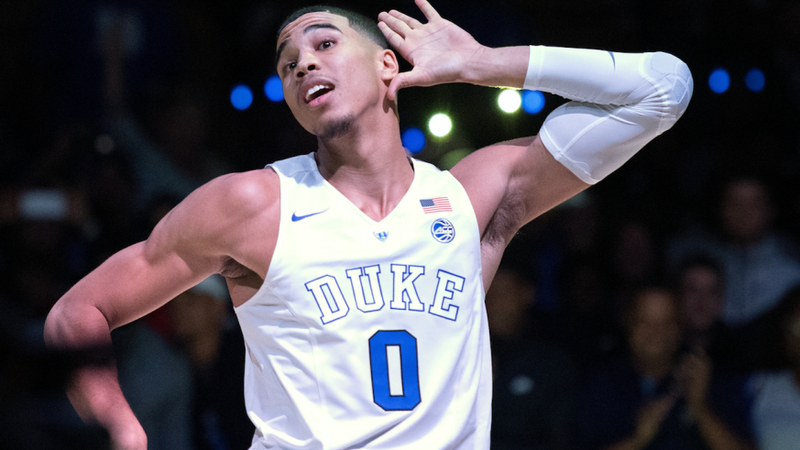 Tatum vaulted to 4th and 5-to-1 odds after a very impressive summer league. After the NBA Draft his odds were 9-to-1 and in a months time he's leapfrogged both #1 pick Markelle Fultz and #5 selection De'Aaron Fox, with only Dennis Smith vaulting ahead of him. While Tatum was very impressive in the summer games I think it's a stretch to place him ahead of those guys based on the mere fact that he'll never get the amount of playing time those players will all be afforded. Both Fultz and Fox will likely be starters, or at the very least getting big minutes, right at the start of the season whereas Tatum will have to earn his time on the floor playing with the best team of the bunch. We saw just last season that Jaylen Brown was brought along very slowly to start the season, and although he was impressive throughout he didn't earn himself a significant role until much later in the season. Tatum looks good enough to contribute early with his scoring off the bench but coach Brad Stevens is going to need to see him perform on the other side of the ball before he sees a significant role. It's great that Vegas thinks Jayson Tatum is so good, but I think they are crazy giving those guys longer odds than Tatum. He could very well end up being the best player out of this draft but he's not going to have the opportunity to put up the numbers some of these guys will get this season based on opportunity alone.